How To Use Lookalike Audiences? Hey, everybody! On this video I'm going to show you how to turn 500 subscribers into 2 million potential customers. 1- Leverage Facebook Data: Facebook has a lot more information than you when it comes to its user database. You can actually leverage this by giving Facebook a glimpse of YOUR data and get it running on your favor. 2- Create Your Lookalike Audiences : The way you do this is to gather all the emails and go into the audiences side of your Facebook Ads manager, import them and make a custom audience based on your list. 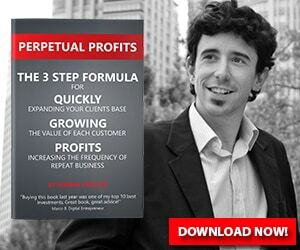 So that's basically how you create and expand your customer list! Simple trick but super damn powerful. Try it out as this tips will make the targeting much more efficient and much more powerful for your business! You should always split test your advertising, check out Facebook split testing for more info. Hey, guys, what's up? Hernan Vazquez here. Welcome to another video, and sorry about that intro, but there's no magic at all on this video, it's just pure how the Facebook platform works, and I want to show you guys a little bit of how we are turning 500 subscribers into 2 million potential people that you can reach to, okay? Talking about leverage. But first, I just wanted to thank you guys for the support, for the comments. I've been slowing down a little bit the videos because I've been consulting with clients a ton, and you know, I have two big launches upcoming. But anyways, I didn't want to miss the opportunity to thank you guys for watching these videos, for dropping a like, subscribing, commenting. Thank you, thank you once again. Again, if you have questions, if you have comments, if you have threats, like death threats or life threats, I don't know how you say it, you can put them on the comments below, all right? That's it. All right, let's jump into the actual meat of the video, which is, how to turn 500 subscribers or 100 subscribers into 2 million potential customers. Now, it really surprises me how many people are not using this strategy. I talked on other videos on how to bring offline clients into your online business, and how to turn a really small list into a huge list of potential customers. You know, I tend to believe that Facebook has a ton more of information than I do, all right? Because they are gathering information from all over the place, they're gathering information from the pages that you're surfing to, the actions that you take online, the kind of vehicle that you're driving, anything, okay? The kind of conversations that you have with other peers. Let's face it, you know, Facebook is like the good looking CIA, sort of saying, all right? Check out how to make $100 a day. Now, what you want to do with that, if you're trying to advertise on Facebook, is to leverage on the power of Facebook. So there's something called lookalike audiences. Many of you may know them and you might be familiar with them. Many of you might already use them. But many of you may not have an idea what it is I'm talking about. So, simply put, a lookalike audience is telling Facebook, “Okay, I have this small piece of list, I have this small piece of emails, Facebook, please go find people that relate or that have the same demographics that this small list.” Okay, so it's kind of a sample that you put into Facebook, and then Facebook will go out and find anywhere from 2 million to 20 million people that are similar to those lists, okay? It's kind of mind-blowing, because if you think about it, there's a ton of information that Facebook could have and does have that you don't as a marketer, okay? And you want to make sure that you have that in mind. Now, with that being said, you might be a little bit skeptic with “How is that possible that I can feed, you know, 100 people into Facebook and Facebook will come back with 2 million people?” And that's completely fine. Now, in this video I'm going to show you step two, which is, once you have your lookalike audience, let's say that you had 100 customers over the past month or past year, it doesn't really matter, you will gather all of the emails and you will go into the audiences side of your Facebook Ads manager, and you will import them and make a custom audience based on your list, all right? So once you have that, you can create a lookalike audience of that list. Now, you will be wondering once again, “How is that possible?” Now, the reality is that Facebook, it's pretty accurate with the algorithm, but sometimes it's not that accurate so that we can actually market to that people. So what you need to do whenever you're creating a Facebook ad, is to do what's called layering, okay? So the first layer will be not everyone on Facebook, just the lookalike audience, which would be from 2 to 20 million people, and then what you want to do is to target interests as well. So what this will tell Facebook is, okay, just start at this lookalike audience but with these interests. That will make the targeting much more efficient and much more powerful, if you would, because you are targeting the same demographics that those 100 people or 500 people had with the interests that your market is targeted to, okay? Or that your niche is interested in, all right? So that's how you layer lookalike audiences with interest. I found that this works really, really well to turn, you know, 500 people or 100 people into 2 million people, and then you end up serving that to 700 people or 30,000 people, it doesn't really matter. But the point here is that you can turn a really, really small list into a huge list potential list of customers. That's why I think Facebook Ads is one of the best tools, it doesn't matter if you have a small budget or a big budget, you can do a lot of damage with Facebook, okay? 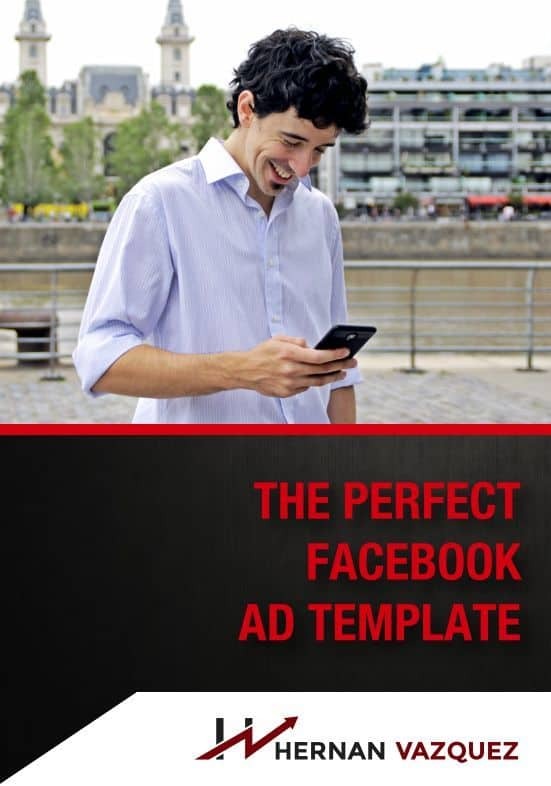 The bigger the budget, of course, the more leads that you will get, but you can still optimize your campaign so that you do not need to invest a fortune in Facebook ads to make this strategy work, okay, guys? So go ahead, try lookalike audiences, and try layering the way I just said. You know, let me know how it goes. I use this stuff pretty much every day and it works really, really well for me, my companies, and my clients' companies as well. All right, guys, thank you once again for watching. If you have any questions, comments, whatever, you can drop me a question below, you can join the Facebook group. And if you want me to implement something of this for your company, just drop me a line somewhere online, and I'll make sure that we get to you as soon as possible. Thank you, guys for watching, and I'll see you on the next video.